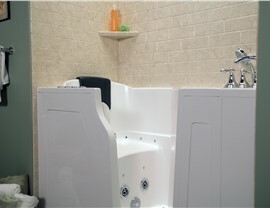 Get the ideal mix of luxurious and secure bathing with the beautiful and durable walk in tubs from Mad City. The bathroom in your home needs to work well for all members of your family, particularly those that live with mobility limitations. 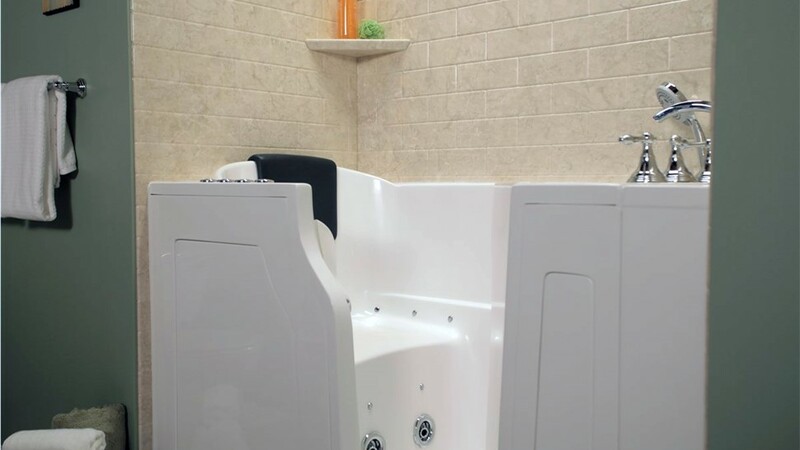 Having an accessible bathroom is more than just a luxury, it’s a necessity for many homeowners, and Mad City Windows can deliver the walk in tubs you need to give you back your bathing independence. With our impressive selection of Luxury Bath walk in tubs, one day installations, and lifetime guarantees, you can count on us to make your bathroom a safe and beautiful place to spend time in. Traditional bathtubs can be a challenge to get in and out of, and many homeowners are looking for an alternative that delivers a luxury experience with added security and safety. 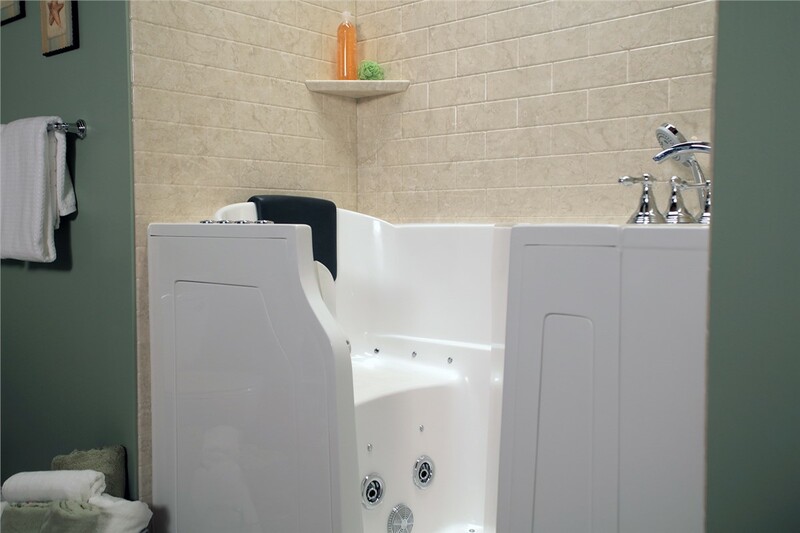 That’s what you’ll find with the walk in tubs from Mad City, and we can design a customized walk in bathtub that is built to your specifications. 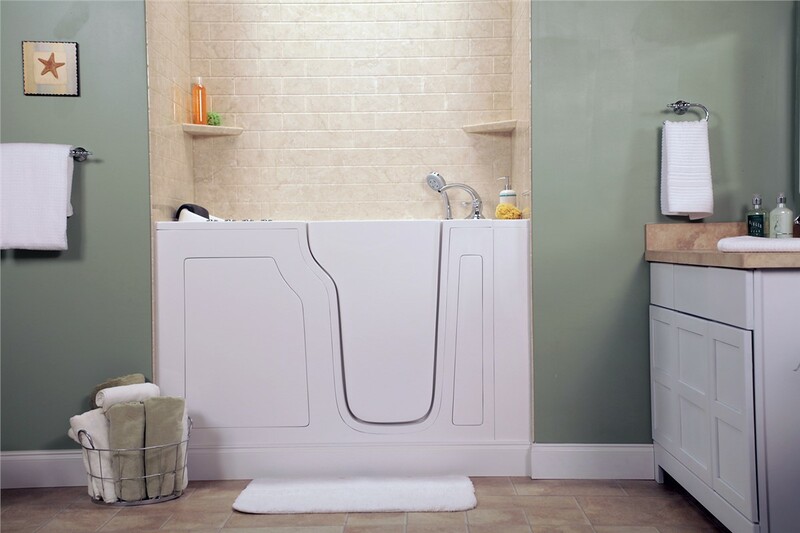 Improved bathing safety with features that include built-in seating, step-through thresholds, and safety grab bars. Superior relaxation from the comfort of hydrotherapy jets that soothe tired muscles and improve circulation. Minimal maintenance requirements with walk in tubs that are grout-free, nonporous, and built to naturally resist mold and mildew. Custom bathroom style with our impressive selection of colors, finishes, and options that make it easy to create a one-of-a-kind bath for your space. Fast bathroom installations, with many jobs completed in just one day! 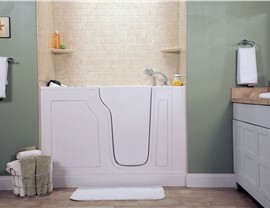 Sign-Up Today for a Free Quote and Walk In Tub Consultation! For professional bathroom remodeling that transforms your old, outdated space into an accessible, luxurious retreat, there’s nobody better to take on your project than Mad City Windows! Learn more about how we can bring your vision for a beautiful new bath to life by calling today, or request your free quote and consultation now by filling out our online form.